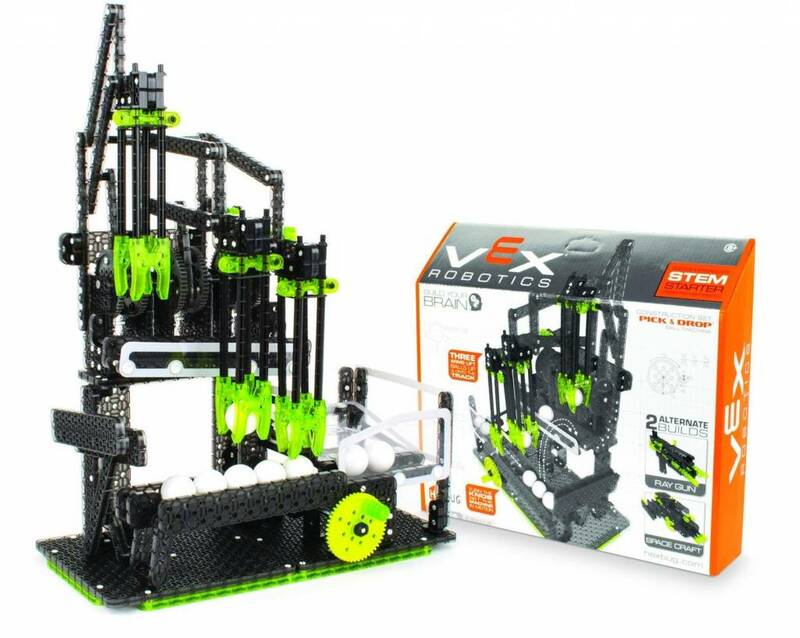 Experience the art of engineering through the mesmerizing kinetic motion of the VEX® Robotics Pick & Drop Ball Machine Construction Set. 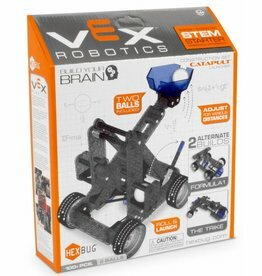 HEXBUG® sets use the fun of robotic toys to teach kids important STEM principles through hands-on learning. 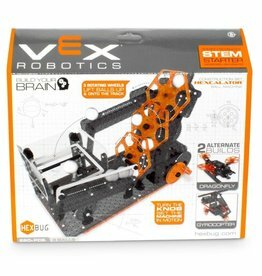 Construct a complex, mechanical, roller-coaster style machine with a crank and arms and grabber hands that reach down and pick up balls, hoisting them to the top of the machine. 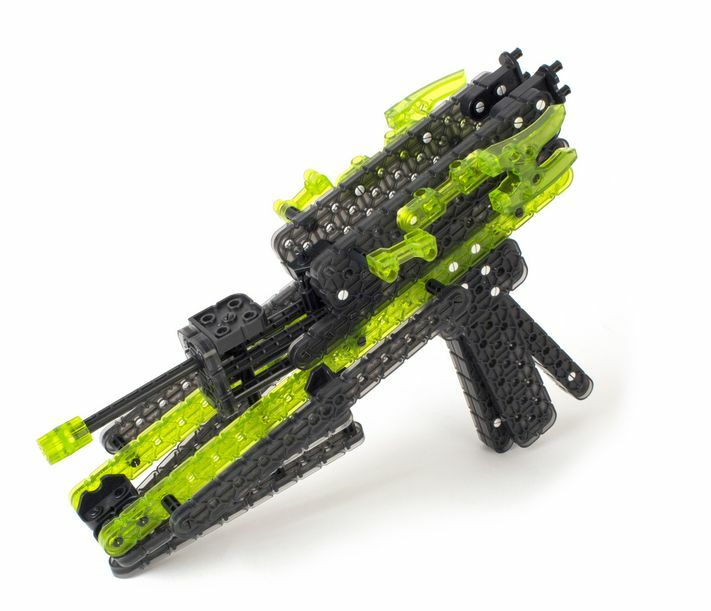 The arms automatically release and drop the balls onto the return ramp. Builders will have fun spinning the crank and watching gears turn, axles twist and balls roll. 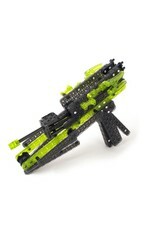 You can also build two alternative fun pieces: a ray gun and spacecraft for more robotic fun. 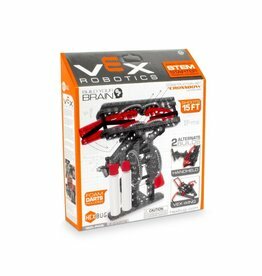 Want to motorize your machine? 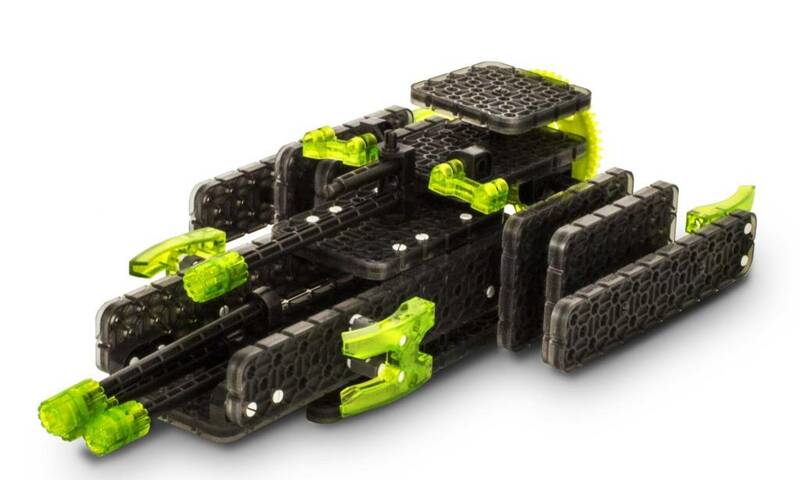 Add on the VEX Robotics Motor Kit for a surge of power. 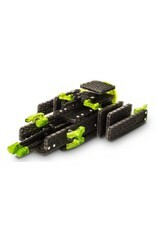 All VEX IQ kit pieces are compatible with each other. 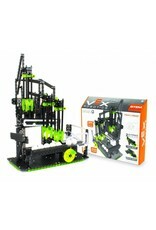 VEX Robotics Pick & Drop is compliant with CPSIA standards.